How many of you know a friend or family member who has had their basement flood during a moderate Toronto storm? Better yet, how many of you felt obligated to race over and help them out? Water damage is one of the most frequent home insurance claims; cities bordering Lake Ontario are especially vulnerable to flash flooding in low lying areas. Further, a lot of the older homes (and at times the newer homeowners) are ill-equipped in the event of a heavy rain episode. Many simply move into a reactionary mode, racing for buckets and rubber boots in an attempt to save their belongings and property from water damage. If they’re lucky enough to be home at the time, that is. 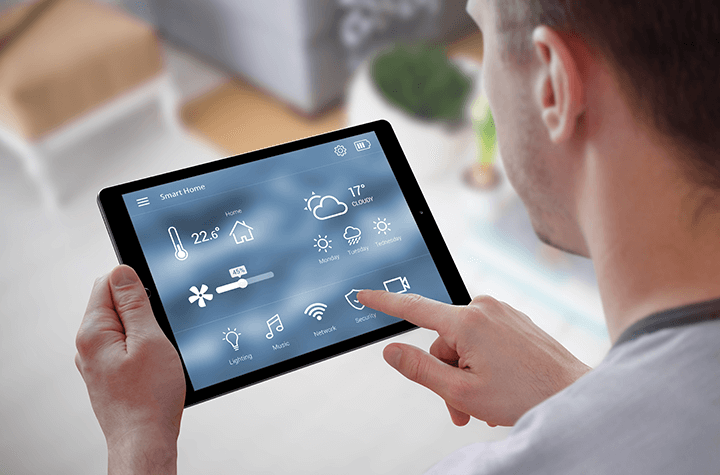 That smart network in your home called the Internet of Things (IoT), which allows you to control amenities such as lighting, curtains, televisions and sound systems through a phone or tablet is moving away from the leisure category. New systems are being unveiled that will notify you of household threats, and even take control of your utilities to prevent damage and decrease costs associated with natural hazards in the home. Elexa Consumer Products in Chicago has officially launched a new electrical component named Guardian. The goal of their fully autonomous IoT device is “to prevent water damage in the home and even shut off water in the event of an earthquake” – there are built-in vibration sensors. You can check the status of leak detectors placed around trouble-areas. Or, check temperatures and even switch off valve controllers at any time through your smart device. Elexa expects their Guardian, and other IoT sensor devices, to come bundled and discounted with home insurance in the near future. They say their device can grant homeowners some peace of mind as it prevents, reduces, and notifies users of water damage and/or its probability. A pilot program is beginning with Berkshire Hathaway GUARD insurance companies. Let's hope they start distributing to Canada.